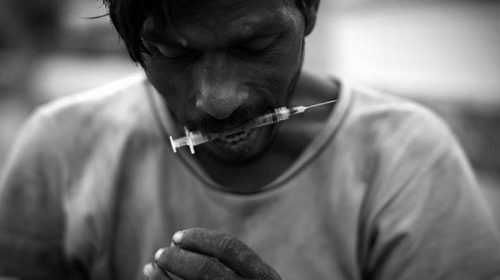 A heroin addict might not like the side effects and other consequences of being addicted to heroin, but giving up the drug is unthinkable, so they try to find ways around the consequences which don’t involve giving up heroin. Statists don’t like some of the side effects and consequences of statism, but giving up the State is unthinkable so they try to find ways around the consequences which don’t involve giving up their drug. Thus you have borderists screaming that you can’t get rid of government borders or you’ll have people flocking to America to get free stuff from “welfare” or committing crime. They can’t even see that they’re in a box, much less think outside it. This utter lack of awareness illustrates my point about statism being an addiction. No part of statism is a given. Any of it can be eliminated; all of it can be eliminated. That one part of it excuses another part doesn’t mean you have to keep either part. Ditch them both. It’s the sensible thing to do. 1. As I’ve mentioned before, cruises are in one sense a great test case for open borders. Workers from all over the world come together to run one some of the world’s most sophisticated technology and please some of the world’s most demanding customers. Most of the workers’ lives are harsh by First World standards but great by Third World standards. And wherever they’re from, the staff work together like Prussian officers. It’s a marvel of multinational management. 2. As I’ve also mentioned, though, the entire cruise industry also depends on immigration restrictions. Cruising is affordable because labor costs are very low by First World standards. Under open borders, these well-trained, highly motivated maritime workers would take advantage of the far better job opportunities available on dry land, drastically raising the price of cruising. 3. If you’ve ever wondered if capitalism is turning human beings into machines, taking a cruise will feed your fears. The cabin stewards, for example, spend 10-12 hours a day making every room on their watch spotless. Then they disappear into the lightness belly of the ship, re-emerging the next day to begin their duties again. An occasional shore leave aside, they work seven days a week. 4. If you’ve ever wondered if cosmopolitanism can really function, taking a cruise will feed your hope. Filipinos, Mexicans, Ukrainians, Romanians, Jamaicans, Chinese, Brazilians, and dozens of other nationalities don’t just “get along.” They show more team spirit than any American workforce I’ve seen. 5. Modern American politics vanish on a cruise ship. There’s zero social justice rhetoric or attitude to be found; passengers and crew all take severe inequality for granted. You might think that’s because the customers are demographically Republican, but there’s also zero nativist rhetoric or attitude to be found. Elderly American Republican guests interact amicably with foreigners of every description. There’s no sign that they’re “making an effort” to overcome their xenophobia; they just apolitically accept the cosmopolitan world that surrounds them. 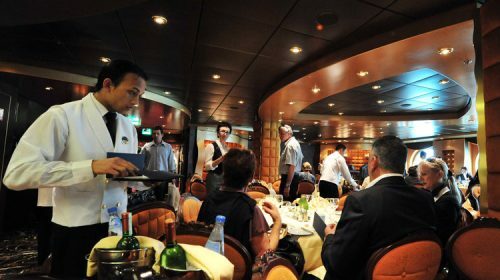 The cruise culture runs on good manners and shared humanity, not identity politics. And yes, you really can turn the identity volume dial close to zero – which is where it belongs. 6. What does the crew think about global development in general, or immigration restrictions in particular? I didn’t want to make them uncomfortable, so I didn’t ask… but their actions speak louder than words. I’d guess that 90% of the workers originate from the Third World. The fact that they’ve left their home countries behind to serve spoiled First Worlders is a deafening vote of no confidence in their societies of birth. And when I see the this massive ship running like clockwork, it’s easy to see the wisdom of their decision. Business isn’t perfect, but it far more deserving of their admiration and loyalty than the demagogic governments they’ve left behind. I am skeptical of everything. 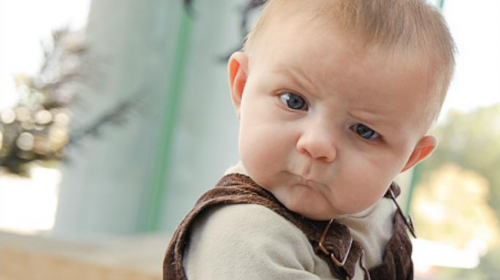 In fact, I’m skeptical of my own claim that I’m skeptical of everything. I’m probably wrong; there’s most likely something I’m not skeptical of… but I need to be. You’ve probably seen my skepticism come out on topics of statism and the “necessity” of political government, AGCC (politicized “climate change”), government “borders“, and politicized “gender” issues, but I’m also still skeptical of other stuff. Even libertarianism. I test all these things constantly– in my mind, in my experience, and in the “thought experiments” and experiences of others– looking for ways they might fail. One failure tells more than a thousand successes. Sometimes people present what they believe is a good example of a failure of some idea, but when I dig into it, their example fails instead of what it was supposed to topple. And that’s OK. I still want to see the attempts. If something I trust is going to fail, I want to know it before I am in a situation where failure would hurt me or someone else. Generally, I only write about the failures I find, which makes it appear that I am skeptical of some issues but not others. But that’s just because I haven’t found failures in some issues yet. Maybe they are there. If they are, I want to find them. It’s just how I am. 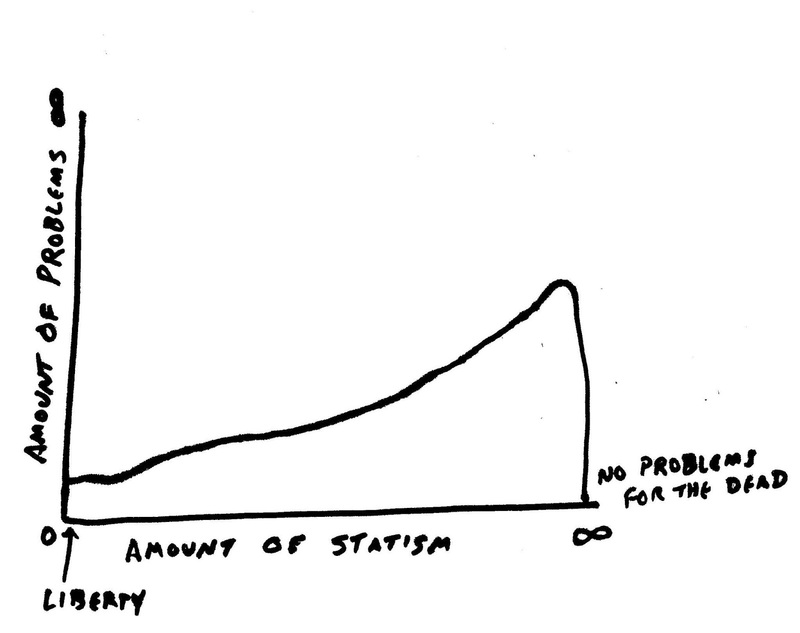 Statists. You can’t even get them to ask (or acknowledge) the right questions. Whether the topic is “borders”, drugs, guns, rights, or socialism, they address all kinds of peripheral questions which seem to legitimize more statism when answered, but they avoid the real questions which would completely invalidate statism. Is it intentional or are they really that ignorant? I honestly don’t know, and suspect it is some of both. For example, I recently heard one arguing against ending prohibition because when the “laws” against Cannabis are loosened and the cartels’ profits go down, the cartels turn to smuggling opioids. What? How does that justify propping up the failure which is prohibition? All you’ve managed to point out is that if you relax prohibition in a piecemeal way, the cartels will focus on those areas where the profit motive is still high due to continued prohibition. When you sink that deep into statism, you can’t seem to see beyond statism. So, look at my crude graph . Sorry, it’s not to scale or painted (a lame Back to the Future joke). See how I readily admit there are still problems with a condition of zero statism (total liberty)? But statists don’t like that admission and it’s a deal-breaker for them. 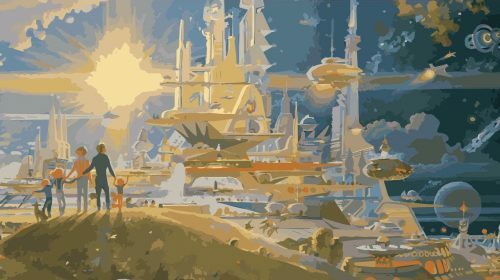 Liberty would have to be Utopia with no problems at all for them to accept it in place of their favored statist Dystopia– no matter the specific issue. Obviously, death– with no more problems for the dead– will result from increased statism long before total statism (whatever that may be) is achieved, but the exact place where that happens will vary from individual to individual and is hard to pin down. Use your imagination to adjust the exact scale of the graph. We live somewhere along the line between zero statism (liberty) and total statism. The exact spot is debatable, but it’s irrelevant for my point. Wherever we are, there are problems– more problems than there would be under liberty. But statists don’t like liberty so that option is unthinkable and invisible to them. They advocate more statism to solve the problems which exist; most of which are worsened due to statism. They will claim that with added statism, the total problems will decrease. That’s not reality. 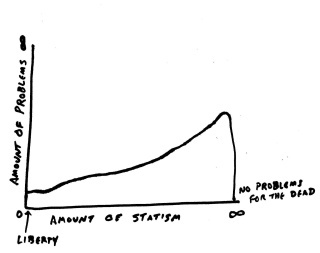 More statism equals more problems. But, because there are problems, and they can see ways to justify more statism because of those problems, they are blind to solutions which don’t mean more statism. They won’t even ask questions which might risk opening their eyes to the reality. 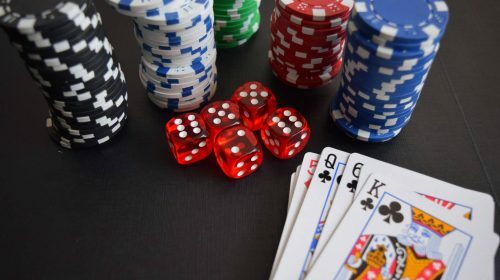 Why should it be up to the US Department of Justice, or this or that group of politicians or lobbyists, or some percentage of your state’s voters, whether or not you can place a bet on the outcome of a sporting event, a roll of the dice, a spin of the wheel, or what cards get dealt at a poker table? Since a 2011 re-interpretation of the Wire Act, states have been able to permit, license, and regulate “intrastate” online gambling — that is, gambling where both sides of bets are located in the same state, even if the bets are placed over the Internet (for example, online poker games where all parties are located within their borders). 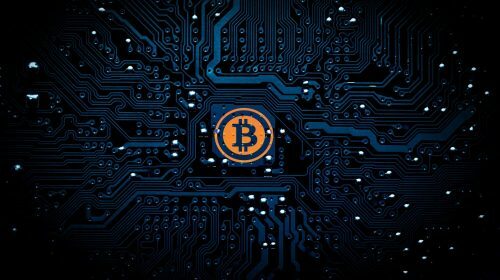 In December, rumors began to circulate that the US Department of Justice plans a re-re-interpretation of the Wire Act to crack down on such activities, which currently take place in Nevada, New Jersey, Delaware, and Pennsylvania. Meanwhile, voters in a number of states decided ballot issues related to gambling in the 2018 election. In my home state of Florida, a coalition funded by the Walt Disney Company, the Seminole Tribe of Florida, and an anti-gambling group successfully pushed through a measure requiring a statewide popular vote to license any new non-Seminole casinos. The motives for such actions are obvious but mixed. Some people think gambling is immoral and shouldn’t be allowed. Some companies (and some criminals) know that limiting gambling is better for their bottom lines than allowing it, and can afford better lobbyists and slicker advertising than new companies trying to get into the business. Of course, most people who want to gamble find their way to the areas where it’s allowed (but regulated), or buy into their state governments’ own versions (lottery tickets, for example), or just make bets with friends in the reasonably certain knowledge that they’ll never get arrested at their weekly poker games or while handing over the money they (foolishly) bet against the Kansas City Chiefs to go all the way this year. In what universe is it legitimately the business of DoJ, or Disney, or the Seminole Tribe, or a legislature, or the little old lady next door who thinks that a deck of cards is The Devil’s Picture Book, if you and I want to bet five bucks on the outcome of a coin flip or anything else? If I want to put money down on the spin of a roulette wheel, it’s my money. If you don’t, then don’t. Problem solved. Unless, that is, you just have an unscratched itch to run other people’s lives. In which case that should remain your problem, not mine.